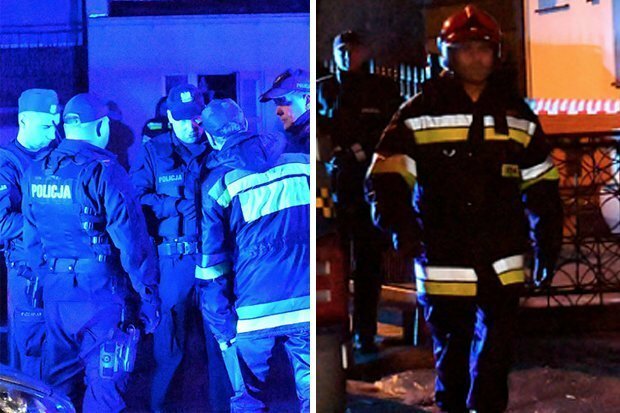 WARSAW, POLAND-Polish firefighters on Saturday blamed substandard electrical wiring and lax security procedures at an "Escape Room" for a fire that killed five teenage girls and injured a man. It's believe the girls were celebrating a birthday party at the time. Five teenage girls have been killed in a horrific blaze that broke out in an escape room. Escape room experiences have grown in popularity over the past few years, with more than 1,000 springing up in the United Kingdom since 2013 when there were just seven. The man, identified only as Milosz S, was charged with intentionally creating a fire danger and unintentionally causing the deaths of the girls, said prosecutor Ryszard Gasiorowski, adding that the location's heating system was faulty and there was no emergency evacuation route. Four of the five young victims were last night named in local news reports social media as Karolina Barabas, Wiktoria Julia Pietras, Gosia Tymieniecka and Amelia Wieczorek. Polish officials and the fire chief have confirmed that there was indeed a safety flaw didn't allow the children to escape from the blaze when the room caught fire. Regarded as an intellectual challenge, the games are highly popular among teenagers in Poland. He wrote: 'A devastating tragedy in Koszalin. It happened in a residential building that is home to an escape room. Escape rooms across Poland are now being inspected for safety, under orders from Poland's interior minister. Prime Minister Mateusz Morawiecki has sent condolences to the victims' families. President Andrzej Duda said on Twitter it was a "crushing tragedy", and Koszalin's Mayor has declared a day of mourning.